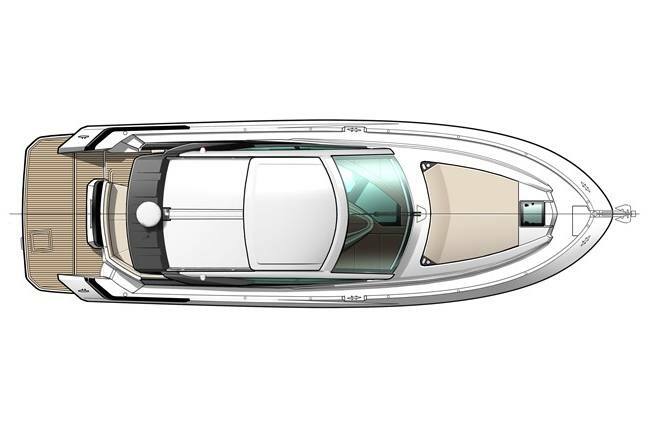 Exterior Design: The slender line of the Gran Turismo 40, underlined by her hardtop and exquisite side glazing, emphasizes her pronounced sporty character. 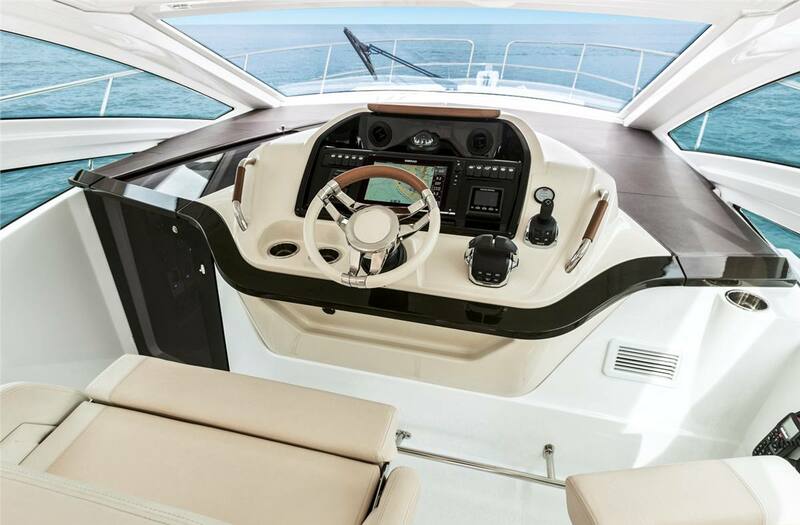 Built with a central driving console and the latest generation of Air Step® hull, she is not only superior at the wheel but safe, even traveling at speeds of up to 38 knots. 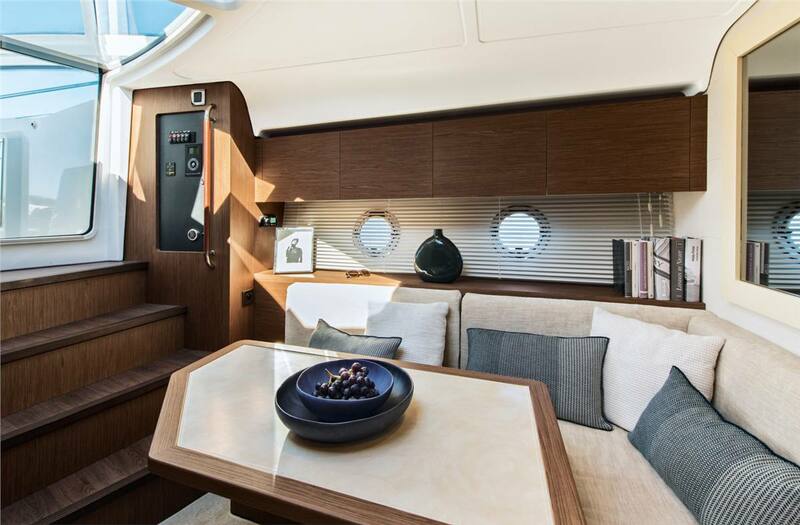 The generous and organized space in the cockpit can seat up to 11 people and the outdoor galley is placed aft. 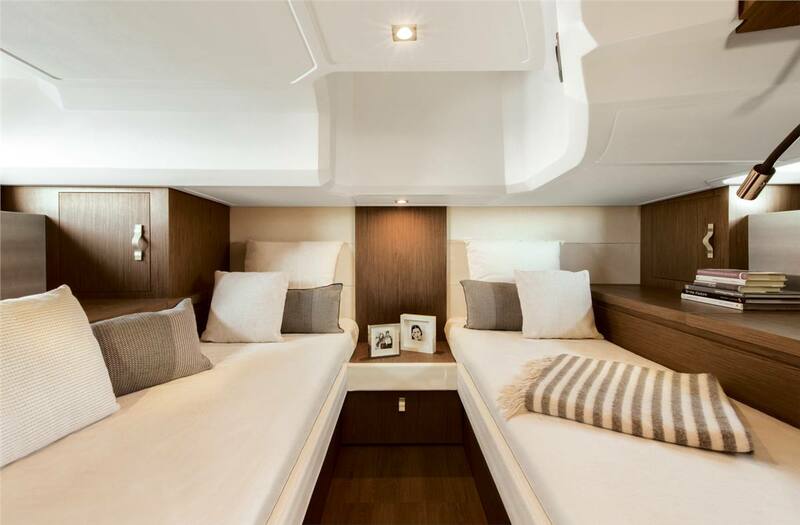 Interior Design: The layout of the lower deck gives you a feeling of space unrivalled on a boat this size. 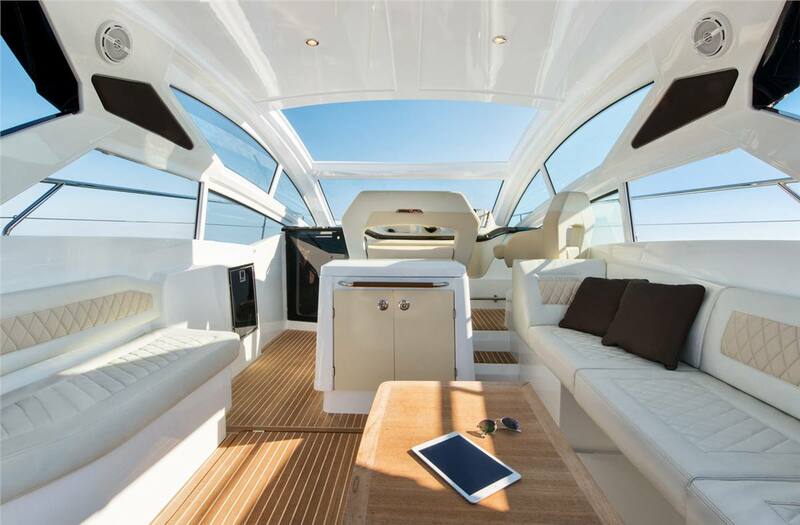 Facing the spacious salon, a proper fully-fitted galley complements the deck galley. 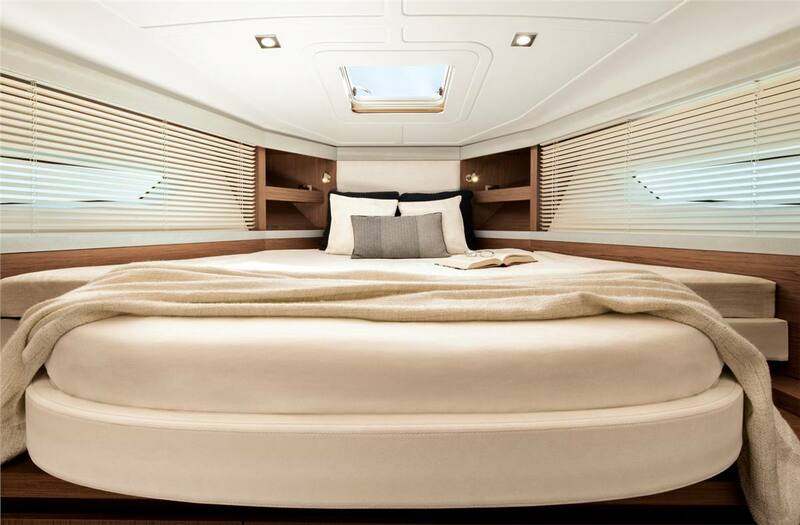 The Gran Turismo is constructed with two cabins, a head and separate shower. 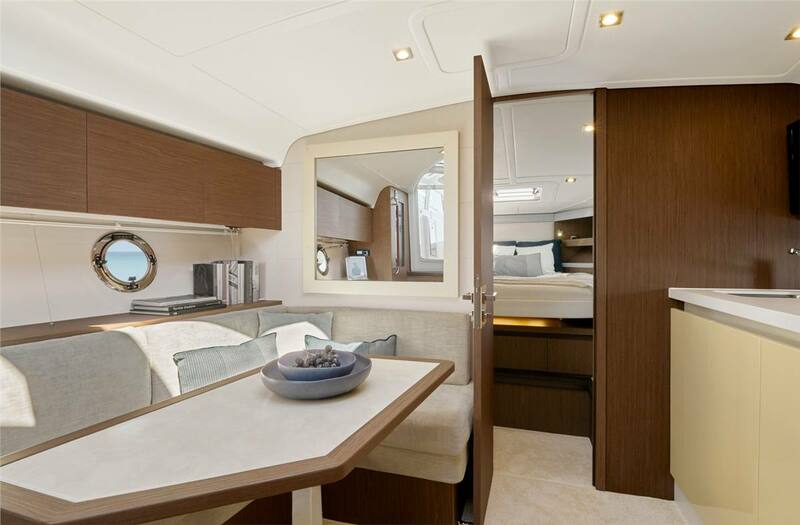 Matte walnut woodwork and lavishly upholstered furniture is the signature mark of her elegance. 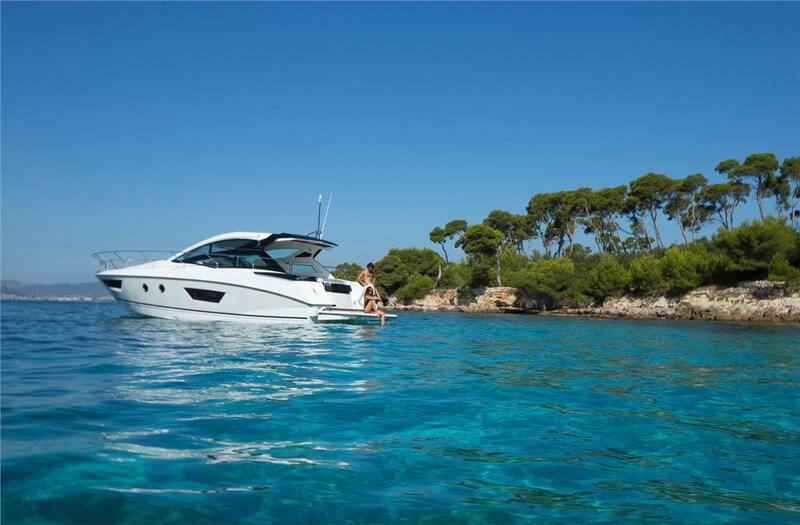 Elegance, Quality Fittings and Sensations Guaranteed: In her overall design, the Gran Turismo 40’s meticulous attention to detail demonstrates her perfect balance between a strong sporty temperament and practical features, making life onboard easy and luxurious. 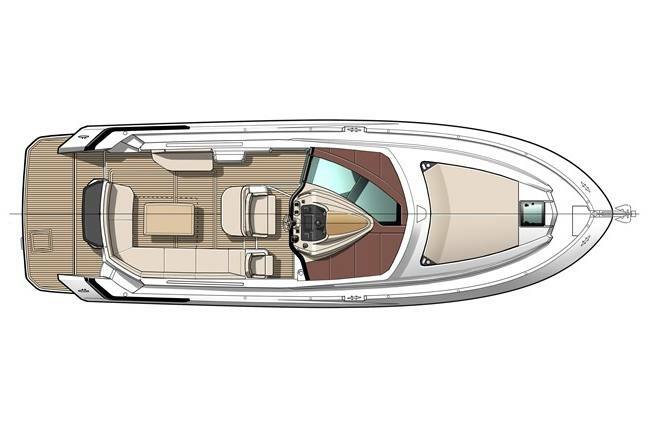 Air Step®2: By increasing the amount of air beneath the hull, with the latest generation of Air Step® technology, the Gran Turismo 40 gains 1.5 knots at maximum speed. While reducing fuel consumption, she accelerates faster and gains speed. 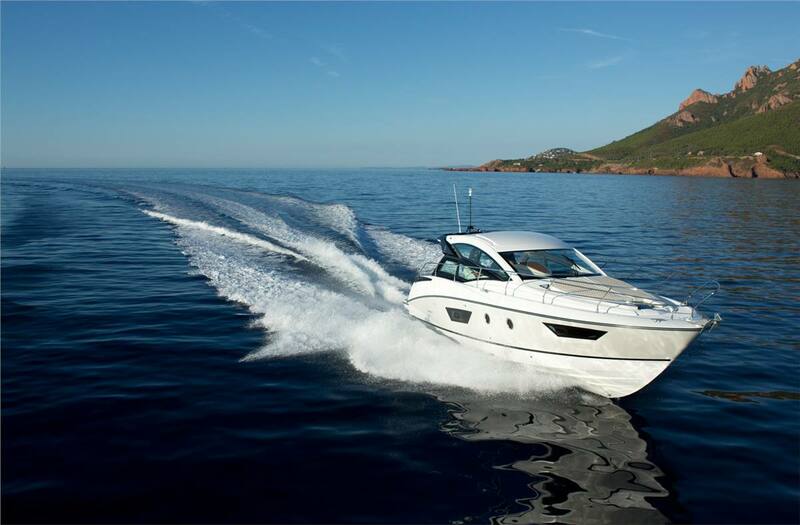 The latest generation of this patent has proven its worth, offering excellent performance at sea, minimal resistance through waves, linear acceleration and easy handling of curves. 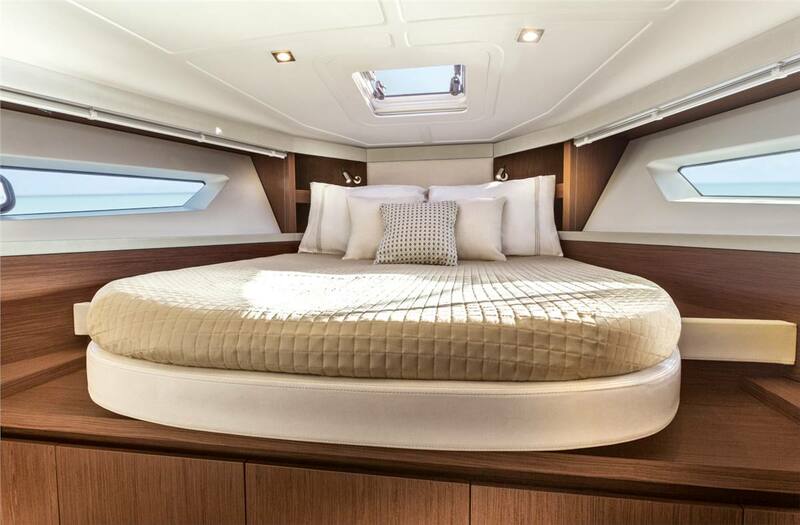 The “air cushion” effect aft of the hull procures amazing comfort. 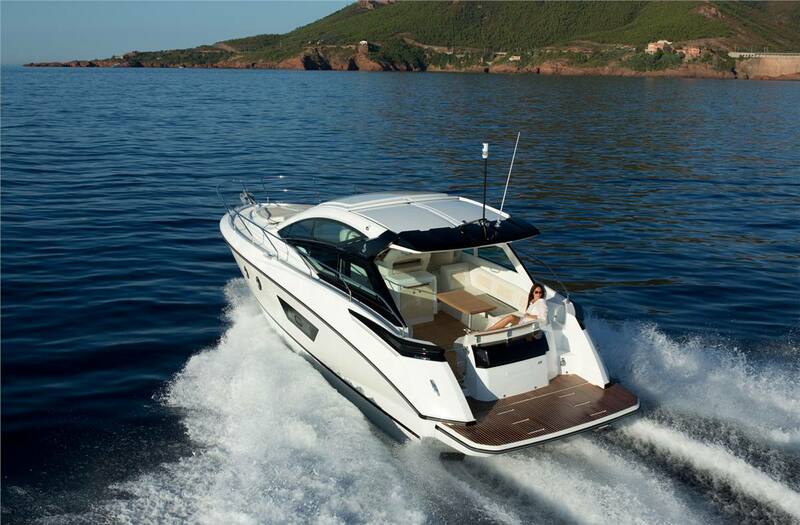 Beneteau Air Step® patent – Designers: Maud Tronquez, Patrick Tableau, Remi Laval-Jeantet. 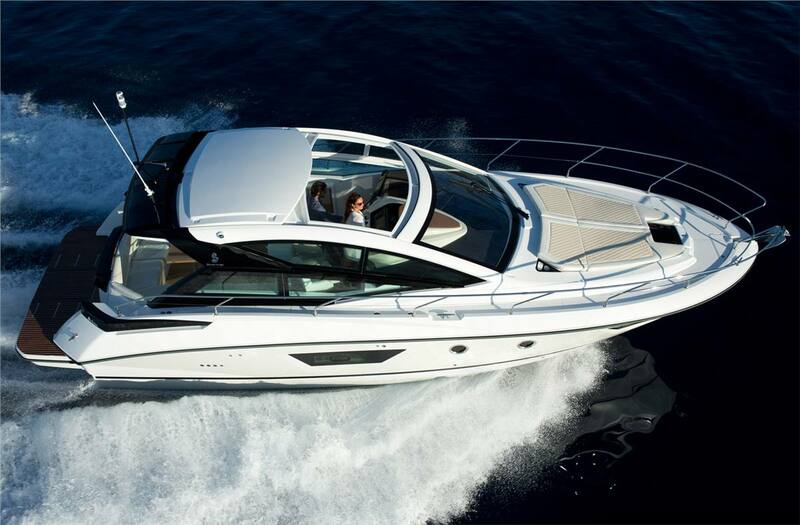 Open Space: Ingeniously combining the protection of passengers and the sensations of an open craft, the Gran Turismo 40 has a hard top that can easily be pushed back and removable side glazing to free up the ultra-spacious cockpit. 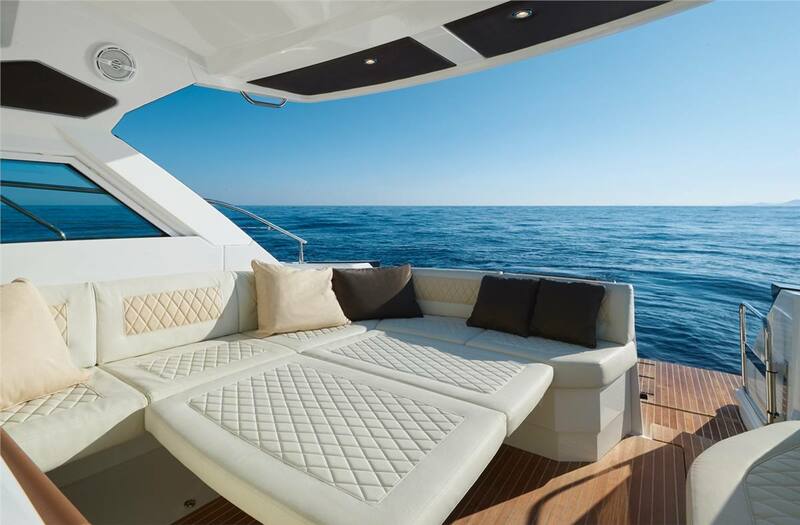 Sun Bathing Areas: The conversion of the cockpit seats into huge sun-loungers turns the already generous sunbathing area into a little over 43sq.ft. of relaxing space. Swim Platform: Lowered just below the water’s surface, the sizeable swim platform can be used to stabilize the boat at anchor, hold the dinghy when underway and provide easy access to the water for leisure activities. Length Over All: 41 ft. 7 in. 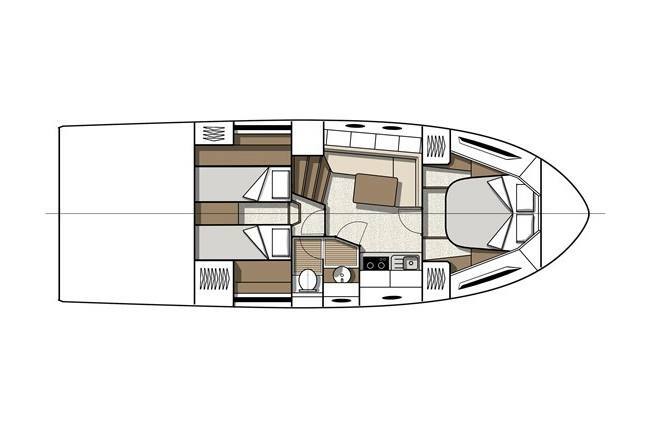 Hull Length: 37 ft. 9 in. Hull Beam: 12 ft. 8 in. Fuel tank capacity: 2 x 86 US gal. Fresh water capacity: 53 US gal. 2 x 86 US gal.